Jarred Wall was having lunch with his friend at a cafe in Perth, Australia, when he heard two elderly women next to his table chatting about aboriginals and using less than “distasteful” words. Rather than confront the pair and give them a piece of his mind, Wall bought the two ladies a pot of tea and on the receipt, he’d handwritten a note. 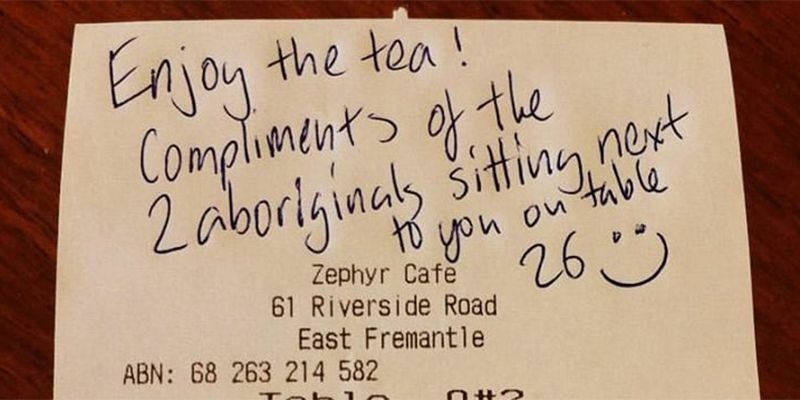 Accompanying his Facebook post, is the photo of the receipt from Zephyr Cafe with the note, which has received tons of praise from users online. Some saying “perfect action” to others wishing there were more people like him around. Here’s hoping next time these elderly ladies “will be wiser and think before they speak” because you never know who’s sitting next to you. 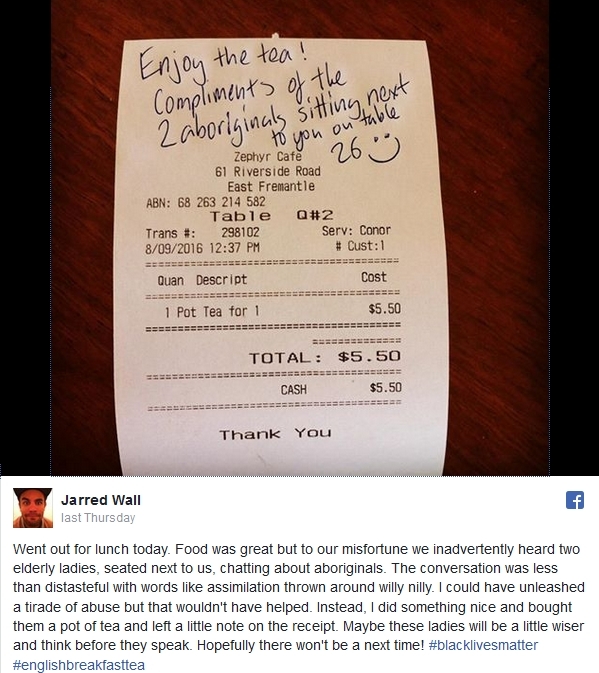 Responses to "Aboriginal man responds in the best way possible after overhearing racist remarks"
fortunately these old dinosaurs and their archaic mindsets will be equally as extinct in the near future. that mentality/brainwashing is now becoming a thing of the past.